Queensway, formerly called Black Line Lane, was named from the Public House once on the corner of the street. It was renamed in honour of Queen Victoria soon after she came to the throne in 1837. It is suggested that the reason was that, as a child, this was the place of Victoria's favourite horse ride; she then lived only half a mile away at Kensington Palace. It was at first called Queen's Road, then Queensway from January 1938. 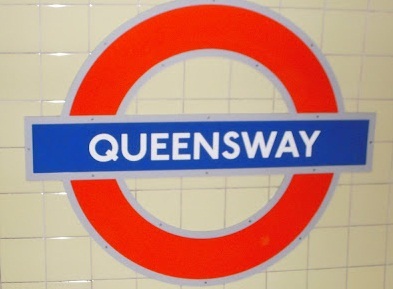 The station was opened as QUEEN'S ROAD on 30 July 1900; renamed QUEENSWAY 1 September 1946. 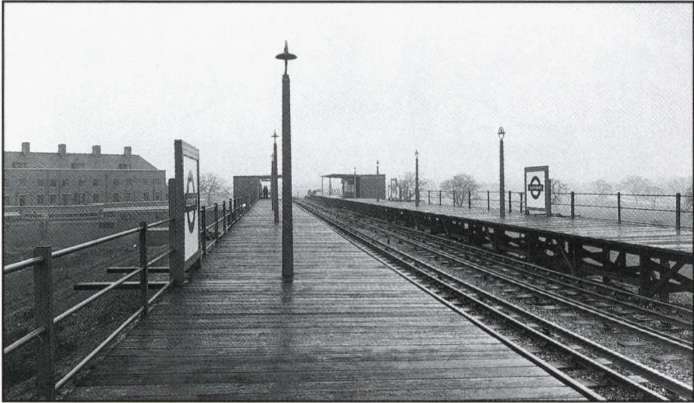 Queensbury station before the Second World War.